Last night I went to my first ever bloggers event, I've been to meet up's before but never a company run event so I both excited and very nervous! I was so grateful to be invited and when I saw that my best blogging friend Hannah was going I said yes too and I'm glad I did as it was a really nice evening. I went along with Hannah and Sarah, I think there was 7 of us overall. I did think it might be a little awkward at first but the ladies were so lovely and made us all feel very welcome and it was actually quite nice being in a small group! Other than Hannah and Sarah I only knew one other blogger who I met early on in the year, Hannah from Lippy in London who is so lovely and I wish I could have stayed longer to catch up with her! Onto the actual event! This is going to be quite a picture heavy post! Some of these photos were taken on my phone so sorry about the quality as well. 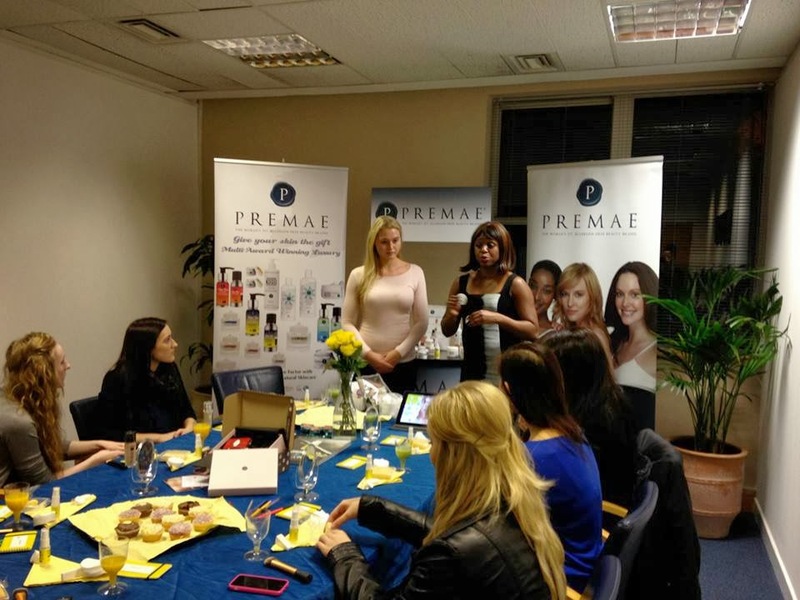 The event was run by the founder of Premae, Clare, who was so lovely and welcoming as well as Iskra who is a model and lover of Premae and also Pariss who is a blogger alongside working with Premae. They were all really nice and put my nerves to rest! We started off getting to know each other a bit which I thought was a really good idea as it definitely helped my nerves a lot. 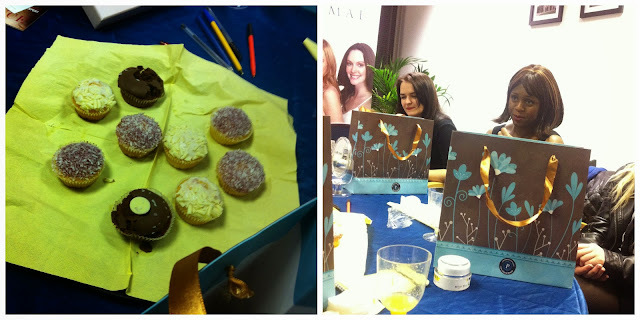 Clare told us about how she created the brand and it was really interesting to see how it was created and how her own personal life contributed to it. 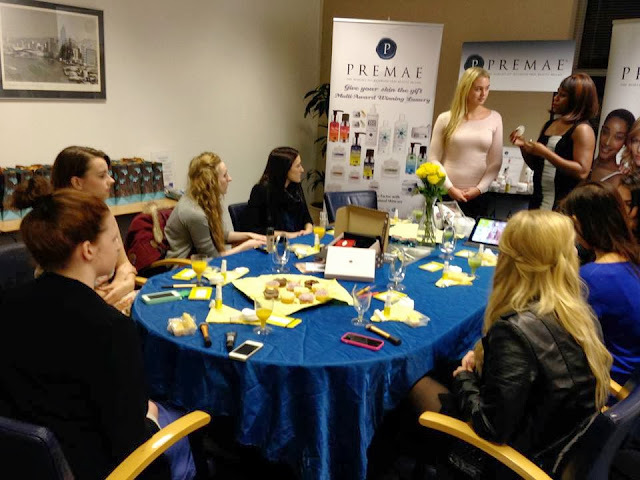 She then did a demonstration on Iskra's skin using Premae products, I loved learning about some of the products and about the ingredients used, for the first time I could understand the ingredients on the back of a product and it certainly did make me feel a bit more wary about what I'm putting on my skin. 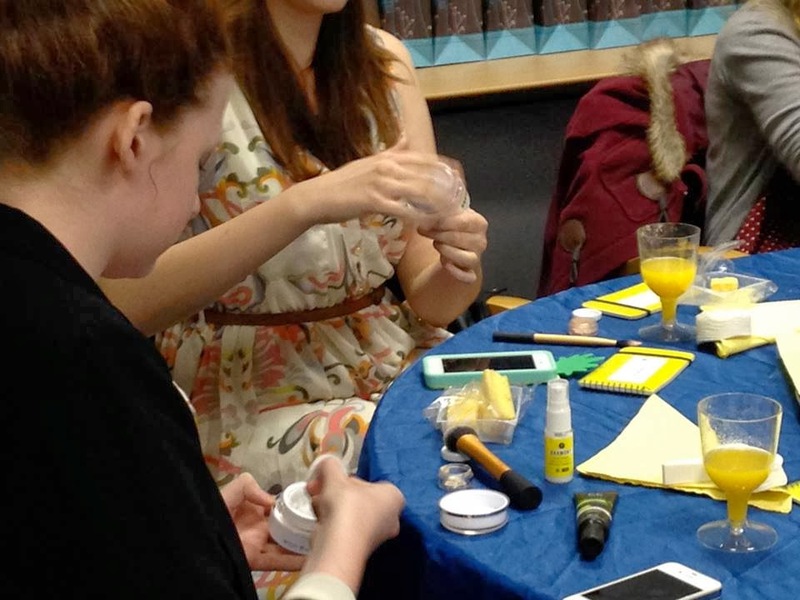 Whilst Clare did the demonstration she talked us through how to create almost a tinted moisturiser/bb cream using the Harmony Smoothie Serum and our own foundation, I'll be doing a full review on this at some point but my first impressions were good! 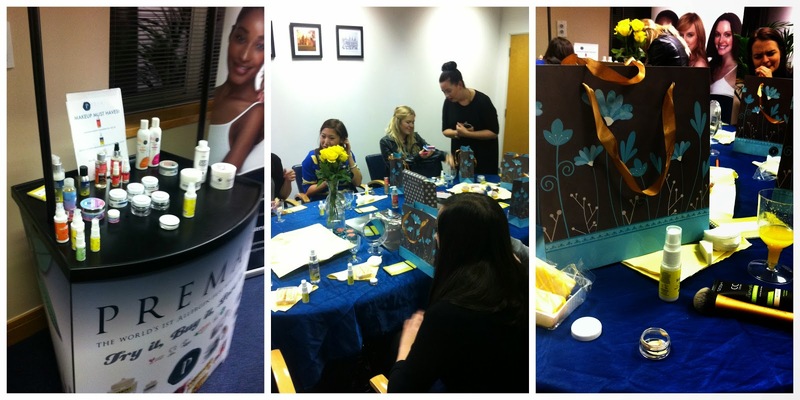 All the products smelt great and felt really nice, my hands were so soft after the event from all the products I'd tried out! I loved the smell of the Anatomy Nutrients Instant Renewal Shower Gel which has Coconut in which is why it appealed to me so much, I love the smell of coconut! 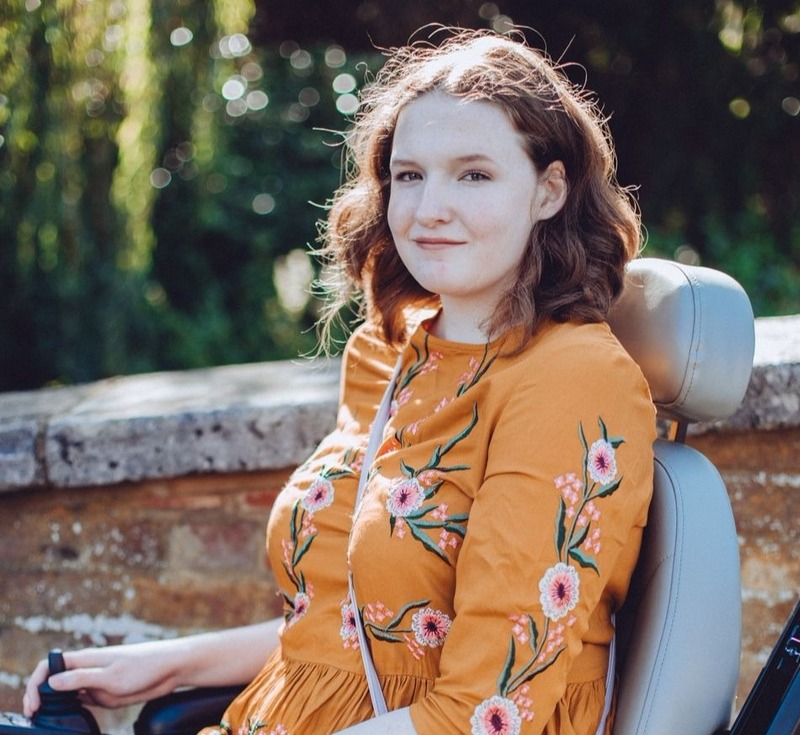 I had a really lovely time and it was nice to sit down with Clare, Paris and Iskra and have a chat about our blogs and Premae! They sent us home with a few travel sized products which I'm sure you'll see popping up on my blog at some point, I can't wait to start trying them out. 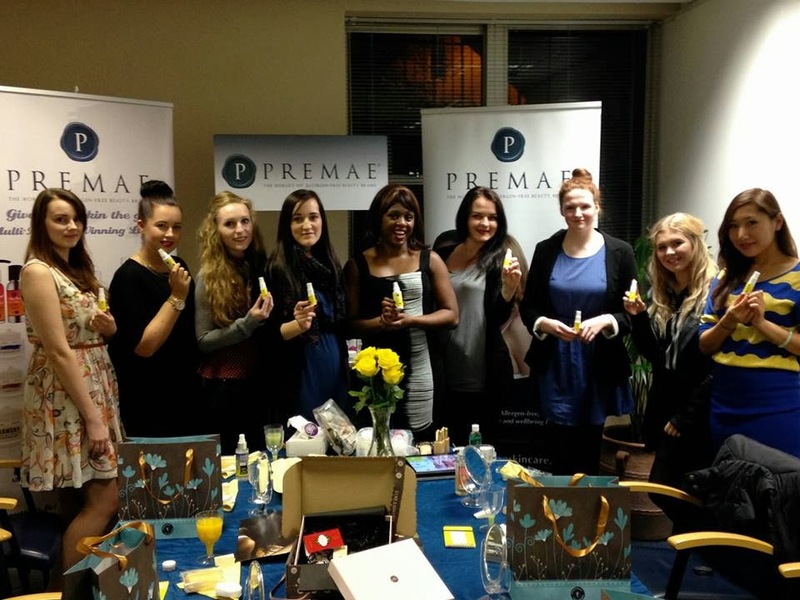 Take a look at Premae Skincare here! If you are interested in advertising on freshbeautyxox find out more information here!